Missouri Democratic Sen. Claire McCaskill released a campaign ad saying she’s “not one of those crazy Democrats,” just less than two weeks before the Nov. 6 midterm election. 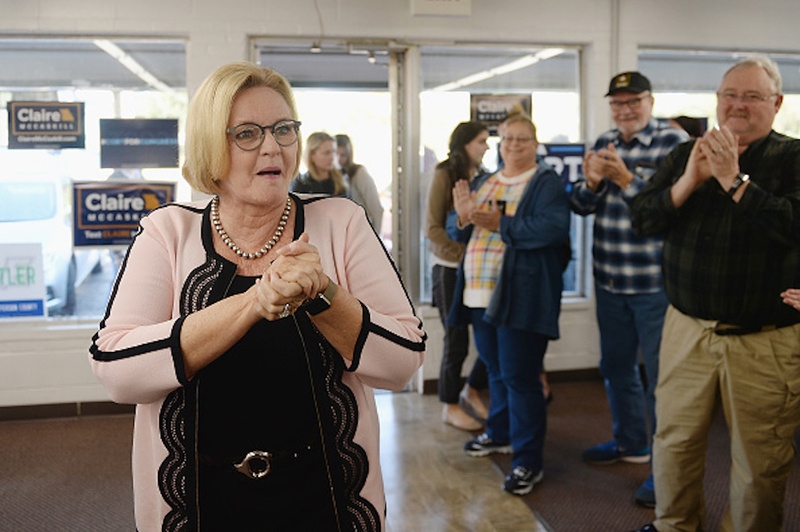 McCaskill, who is in a tight race against Republican state Attorney General Josh Hawley, released a radio ad that has run throughout the week. In the ad, two men explain why they are going to vote for the incumbent Democratic senator over Hawley, saying that he spends too much time at the gym and buys too much wine “during work hours,” The Washington Free Beacon reported. “Claire’s not one of those crazy Democrats. She works right in the middle and finds compromise,” one man says in the ad. As of Friday, Real Clear Politics has the race listed as a “toss-up,” with Hawley leading by .02 percent.